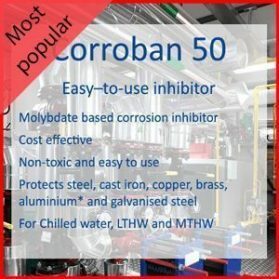 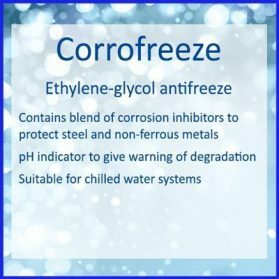 CORROBAN 99 is a propylene -glycol based antifreeze corrosion inhibitor and biostat specially formulated for use in chilled water and closed heating and cooling systems. 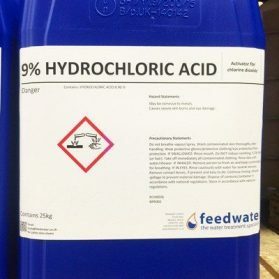 The product contains a range of food safe additives and a colour indicator to give warning when the product concentration is low in the system. 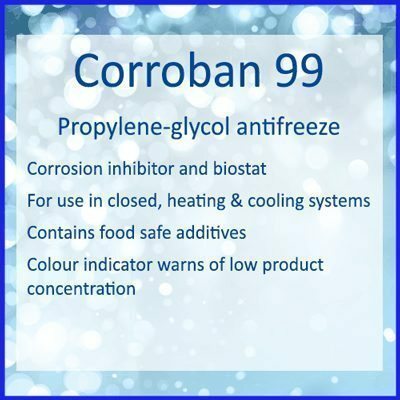 CORROBAN 99 is dosed in proportion to system volume to give protection against freezing as show in the table. 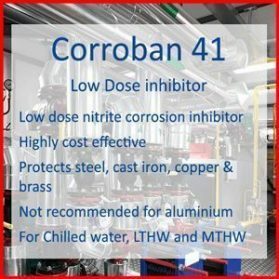 CORROBAN 99 can be shot dosed to a system by means of a dosing pot or alternatively can be dosed automatically by means of a water meter controlled dosing system (price on application). 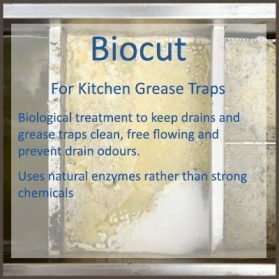 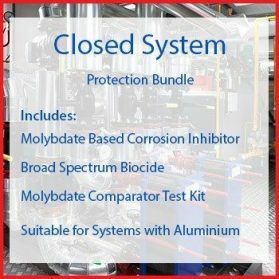 For biostatic control it is normal to maintain a propylene glycol concentration of at least 30%.